Here at the Albert Gore Research Center, we love college basketball! The NCAA men’s and women’s Championship tournaments have started, and the Lady Raiders are looking to make a deep run this year. We’ve all filled out our brackets for this year, but it got me wondering: what evidence of past tournaments do we have here in university archives? We’ll start off with the Blue Raiders. 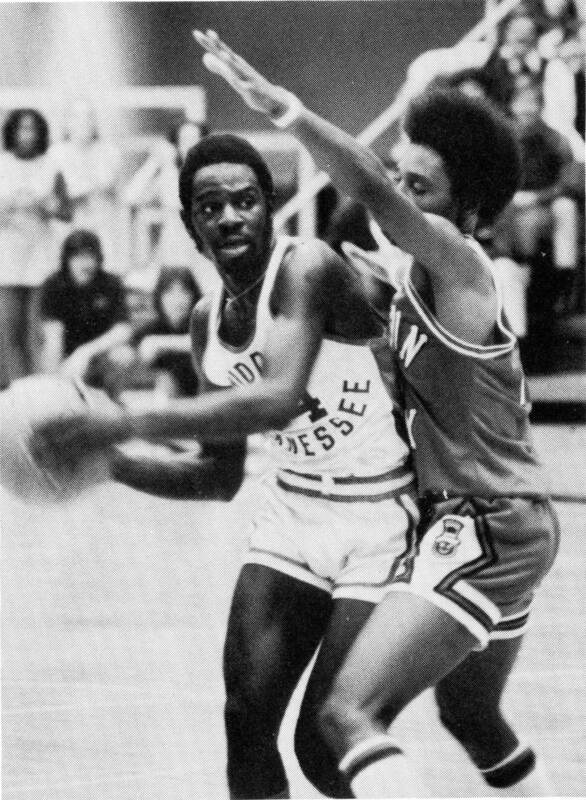 The MTSU men’s team made it to the NCAA tournament for the first time in 1975, following their best season to date (23-5). They swept the Ohio Valley Conference Tournament and earned a bid in the NCAA Tournament to play Oregon State. Unfortunately, the Raiders lost in the first round, bringing their promising season to a close. After another unsuccessful trip to the NCAA Tournament in 1977, the Raiders found themselves matched against Kentucky in the first round of the 1982 Tournament. The Raiders beat the Wildcats 50-44 in Nashville for their first ever NCAA Tournament victory. All-in-all, the Raiders have made the NCAA Tournament seven times, posting an overall record of 2-7. The Raiders didn’t make the NCAA tournament this year, but they did share the regular-season Conference USA championship! The Lady Raiders have had a lot of success in the NCAA Tournament lately. 2014 marks their sixth consecutive trip to the Big Dance. 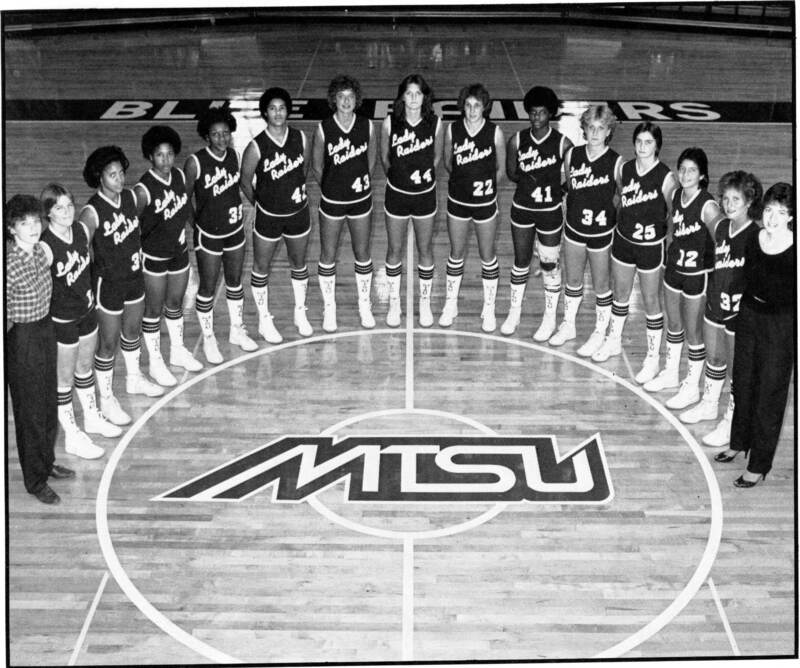 In all, the Lady Raiders have appeared in the tournament 17 times. They made their first appearance following the 1982-1983 season. In the first round, the Lady Raiders met and defeated Jackson State 64-61. They moved on to the second round, where they fell to the Louisiana Tech Lady Techsters. The Lady Raiders enter this year’s NCAA Tournament on a hot streak, having won 11 games in a row and 28 of their past 29 games. How will they do this year? Whatever happens, it will be documented here at the Gore Research Center! The Lady Raiders take on Oregon State Sunday night at 7:00 central on ESPN2. Good Luck Lady Raiders! 1 Response to March Madness is here! A note from the University Archivist: We have the game ball from the 1982 men’s game against the University of Kentucky.